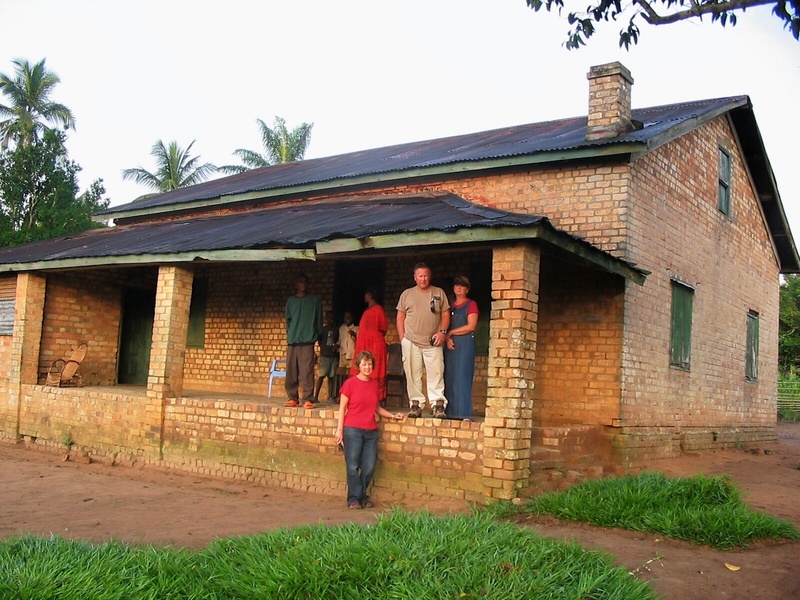 This week Stan describes what their home was like on the mission station when he was a child and then describes its condition when he and Brad returned to Congo in 2008. “When we lived on the station, the homes were built of brick with cement floors. They had screen doors and windows. My mom had a garden and a hired Congolese gardener. “The station had its own diesel-powered generator for electricity. We ran the generator at noon for an hour everyday. This was the designated time we used our radios to contact the other mission stations. (Stations where anywhere from twenty to one hundred miles apart in our province of South Central Kasai.) We kept in touch with each station through the noon radio. We also ran the generator in the evenings for light in our homes and of course the generator provided electricity for the hospital. “One of the missionaries had hooked up old crank telephones at each of the six missionary houses on our station. These gave us a convenient way to communicate. Each home had their own ring (a combination of long and short rings) just like in the states years ago. Be sure to Follow us. Click on the orange Follow word. It will take you to sign-up with your email address. If you Follow us you’ll never miss a post.